Miles & Sue, former owners of Turles Bistro, Broad Street, Lyme Regis would like to welcome you to our lovely extended family home. 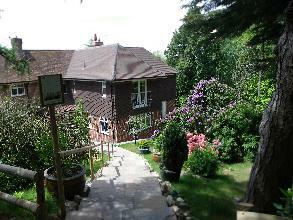 The house is set in beautifully mature gardens on the Charmouth Road. It is only a ten minute walk to the heart of Lyme Regis, which is the gateway to the world heritage Jurassic coast and affectionately known as “the pearl of Dorset”. The rooms have been designed with luxury and comfort as a priority for guests. They all have views either of the sea and the Lym Valley or garden and woodland. 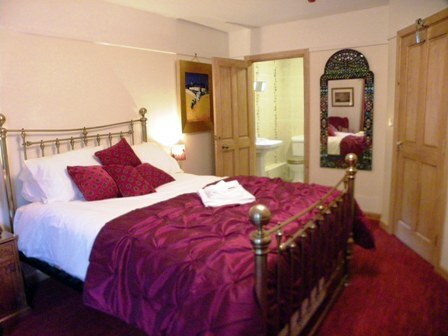 All accommodation is to a very high standard with king-size beds and en-suite wet rooms. 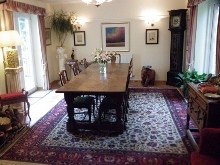 The large breakfast room includes a lounge area with television and a log-burner to keep you cosy on chilly winter evenings. For the warmer months, doors open onto a decked terrace where you could enjoy your breakfast or just relax at the end of the day and watch the sun set.